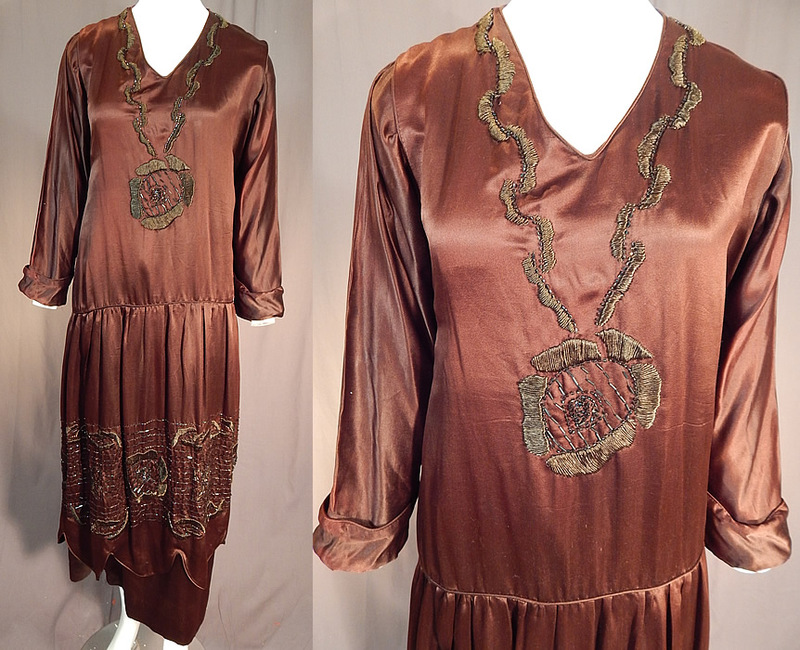 This vintage Art Deco brown silk embroidered bronze beaded flapper dress evening gown dates from 1920. 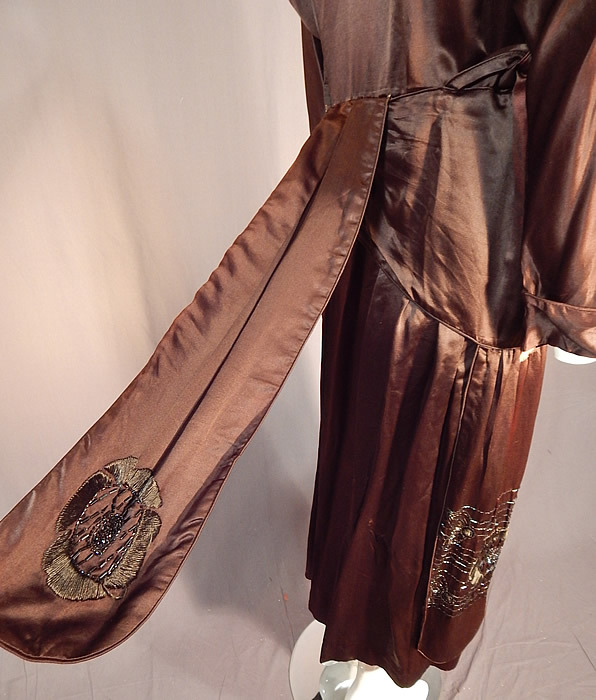 It is made of a brown silk fabric, with brown raised padded satin stitch embroidery work, iridescent bronze beading done in Art Deco abstract floral design on the front top and bottom skirt. 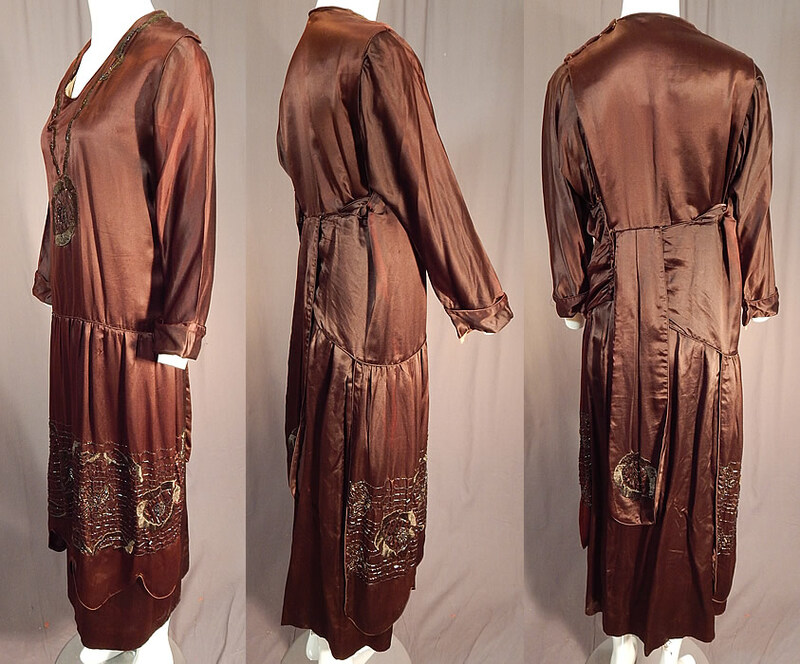 This fabulous flapper dress evening gown has a loose fitting drop waist style, with a layered overblouse top, long under sleeves attached to an inside camisole lining, a layered over skirt with scalloped bottom, an asymmetrical wrap with back drape panel skirt, snaps along the shoulders, waist, front side and is lined on the top only with a white silk camisole hook front closures. The dress measures 51 inches long, with a 36 inch bust, 34 inch waist and 21 inch long sleeves. It is in good as-is condition, with some slight fade discoloration in areas, a few tiny pin holes on the skirt and some frayed splits on the inside top silk lining. 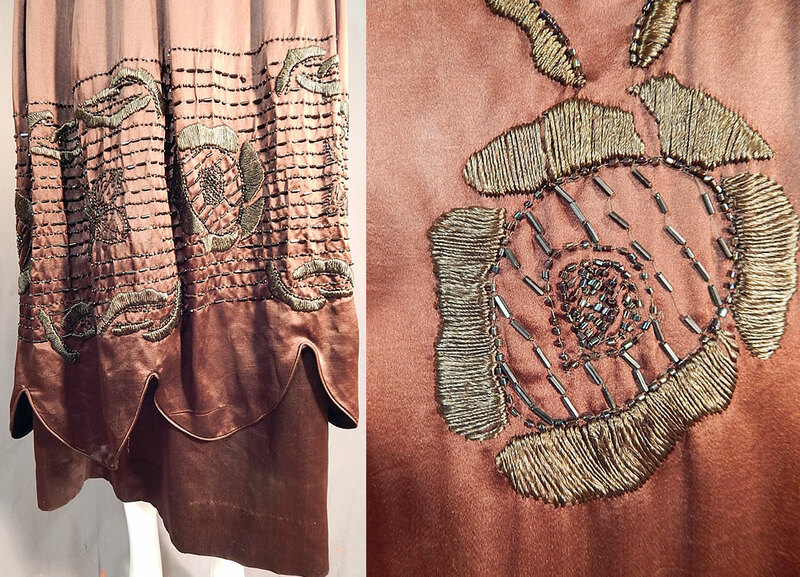 This is truly a wonderful piece of Art Deco wearable beaded textile art! Buyer pays $9.00 shipping and insurance, USA orders.